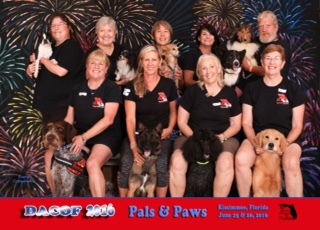 Welcome to Pals and Paws Agility of Northeast Florida! 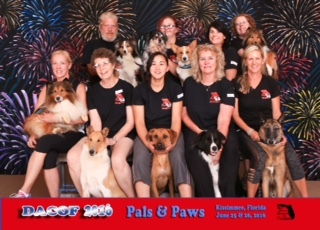 We are a group of dog agility lovers in the Jacksonville, Orange Park, and surrounding areas who come together to enjoy this wonderful canine sport. The club hosts four trials per year and has a top notch practice field for use by members and to host weekly classes. Pals and Paws began in the early 90s with founding member, Diane Tosh, and has grown by leaps and bounds ever since. Our current membership includes people from Jacksonville, Orange Park, Jacksonville Beach, and surrounding areas.